Offering you a complete choice of products which include pressure transmitter for mechanical engineering. 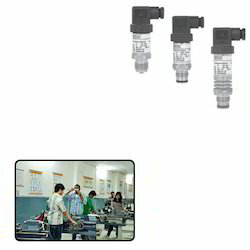 We are offering wide range of Pressure Transmitter for Mechanical Engineering. The offered tools are designed with the application of sophisticated technology and offer excellent solution to the customers. This product goes through various tests under the supervision of our professionals. Looking for Pressure Transmitter for Mechanical Engineering ?